When asked to name a nine-season, incredibly popular sitcom about a close-knit group of four misguided, misanthropic friends in a major city who concoct harebrained schemes on a show that's essentially about nothing, there are now two correct answers. The classic comedy fan would gravitate to "Seinfeld," one of the most influential programs of the last quarter-century. 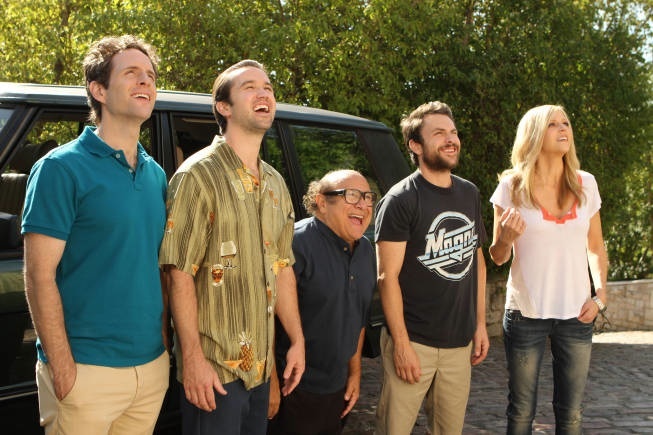 However, there's a loyal following for a program returning for its ninth season next week on the newly-branded FXX called "It's Always Sunny in Philadelphia" that would think of Charlie, Mac, Dennis, and Sweet Dee before Jerry, George, Elaine, and Kramer. How has working from the same comedy playbook as "Seinfeld" allowed "Sunny" to have (at least) as long of a run? And what lessons could be learned by other showrunners from both hit shows? The structural commonalities with "Seinfeld" were striking from the program's 2005 debut. 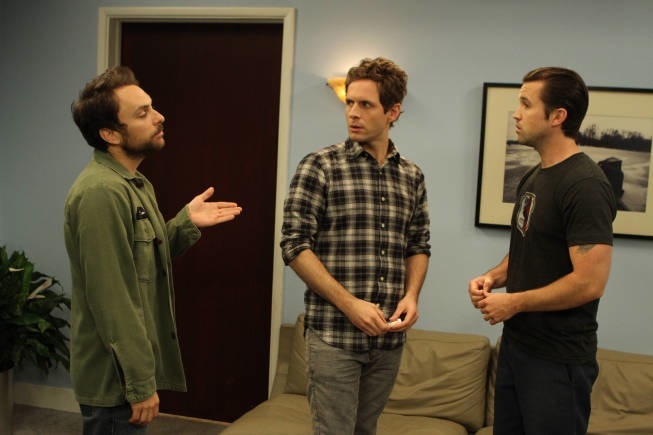 Like "Seinfeld," "Sunny" was a show with three men (Glenn Howerton, Rob McElhenney, Charlie Day) and one woman (Kaitlin Olson) at the core of its seemingly improvisational comedy, but the parallels ran much deeper than mere gender. Each "Seinfeld" character seemed to have its comedic counterpart. With a heightened ego that led to the impression that his personal space was the most important in the world, Dennis (Howerton) shared many of the same high maintenance traits as Jerry Seinfeld, a character who had to throw his sneakers out because his shoelaces touched the floor of a public bathroom. The ridiculous inventions and truly awful planning of a character like Charlie (Charlie Day) felt comedically of the same cloth as the door-crashing Kramer (Michael Richards)—the man who invented the manzier and the man who invented kitten mittens bow at the same altar of inspired lunacy. Dee's (Kaitlin Olson) constant ribbing by her friends and failed love life felt akin to Elaine's (Julia-Louis Dreyfus) character model of misery. Mac (Rob McElhenney), like George (Jason Alexander), often seemed to be the lynchpin for failure when it came to his friends' best-laid, truly moronic plans. Even as Danny DeVito's character, Frank, became a more prominent one in later seasons of "Sunny," the antagonistic way that his arrival was often greeted echoed Wayne Knight's Newman from "Seinfeld." It's not just that these characters were similar; they were the only ones who really mattered in these comedy worlds. "Seinfeld" had David Puddy (Patrick Warburton), J. Peterman (John O'Hurley) and Larry David's amazing impression of George Steinbrenner but the writers were very careful to keep the show focused on its core quartet. We didn't get revolving doors of girlfriends for Jerry and Elaine didn't adopt an adorable orphan. Similarly, "Sunny" has supporting characters that recur like the creepy McPoyle family and the waitress (Mary Elizabeth Ellis) openly stalked by Charlie over the entire run of the series, but none of them last long, nor do they have the importance of the central performers. "The Waitress" doesn't even get a name. That insular sense of comedy that refuses to recognize the rest of the fictional world enhances a brand of comedy that could arguably be called misanthropic but that always allows the viewer the last laugh on the characters. We never learn much about anyone else in the life of Paddy's Pub because Charlie, Dennis, Dee, and Mac don't think much of anyone else. They are thoroughly in love with themselves and tolerate the rest of the world only in the ways that they can do something for them. "Seinfeld" ended with its characters on trial for their misanthropic behavior and the plotline would fit snugly in the world of "Sunny," a show that pushes the envelope much further in terms of bad taste but always brings its commentary on the idiocy of people back to its protagonists. Charlie and Mac's 'Kramer-esque' plans like selling gasoline door-to-door ("The Gang Solves the Gas Crisis," 9/18/08), declaring war on a Korean restaurateur in the name of international foreign policy ("The Gang Solves the North Korea Situation," 9/27/07), or getting MORE weapons in our schools in the envelope-pushing, brilliant second new episode of this season, "Gun Fever Too: Still Hot," don't fall apart because of outsider intervention but because they're insanely misguided (and often criminal) from the beginning. Like George and Kramer, the gang of Paddy's Pub may think less of their fellow man but their failure, and the comedy of the situation, comes from their own mistakes and often no one else's. How have these many similarities contributed to the notable longevity of "It's Always Sunny in Philadelphia"? Creative freedom. By being loyal to nothing but its own characters' foibles and their weekly schemes, both "Seinfeld" and "Sunny" stayed fresh. Being about "nothing," as notoriously self-satirized within "Seinfeld," places fewer restrictions on writers. They don't have to worry about how Pam and Jim's relationship is progressing, as writers did on "The Office." They don't have to come up with a new project for Vinnie Chase on "Entourage." They don't have to answer how anyone met their kids' mother or whether or not Carrie Bradshaw will end up with Mr. Big. By being about "nothing," both programs could be about anything, which allowed them to find humor in more imaginative ways than many of their short-lived competitors. The most important element to both shows was merely to stay true to their characters, which "Sunny" has done consistently for almost a decade. 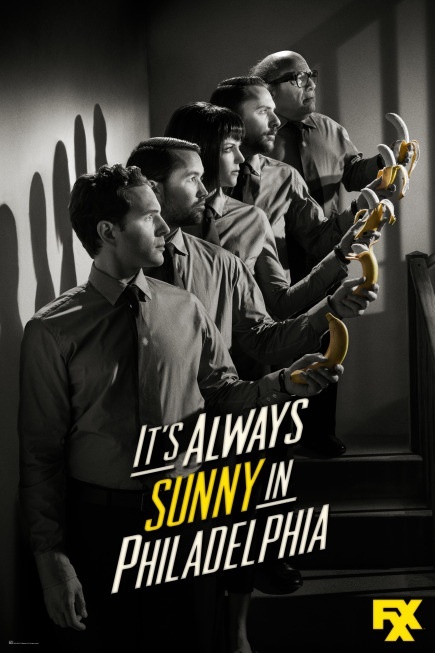 The ninth season of "It's Always Sunny in Philadelphia" starts with a trio of episodes that not only don't break the mold of "Seinfeld"-esque success that got them here but seem even more self-referential of it than ever. 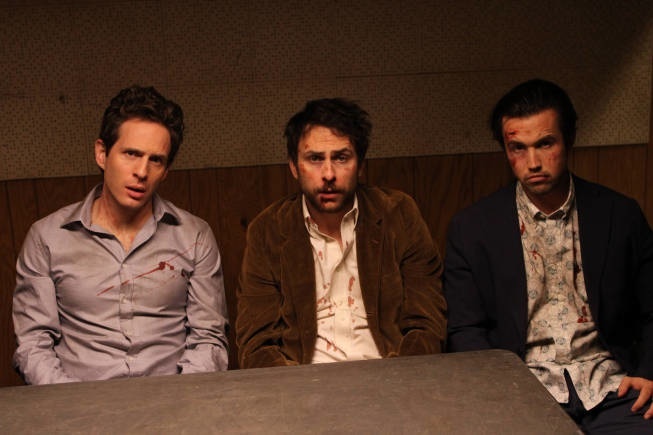 The first episode, "The Gang Broke Dee," centers on a stand-up comedy career for the most-mocked character on the show and few recent programs have more successfully turned the misery of its protagonists into laughs than this one. The third episode, "The Gang Tries Desperately to Win an Award," opens with a conversation about how they've never been nominated for a Restaurant & Bar Association Award that is clearly self-referential to the show's lack of success when it comes to those who bestow trophies on TV programs. Like when "Seinfeld" started to comment on the claims that it was about nothing, "Sunny" is recognizing its own reputation. In one of this season's upcoming episodes, "The Gang Squashes Their Beefs," the Paddy's Pub pranksters will attempt to make amends to those they've hurt. I half-expect to see Jackie Chiles defending them.